The desert is a harsh mistress, in the middle of the day it can be dangerous, the heat and the lack of shade is brutal, hiking through it is challenging. But between 6pm and 10am the desert completely changes. It's beautiful and quiet, the temperature drops dramatically, the stars are nights are brilliant, over all it's a very enjoyable hiking experience. I've made some questionable decisions to hike in that afternoon sun, relying on the umbrella I'm carrying to help battle the heat, but it's just not enough, and my body has paid for it. I've now made pact with myself, going forward I'll be taking longer siestas in the middle of the day, looking for a spot in the shade to read, or nap, and then hike into the night. The evenings out here are perfect, I might as well take advantage of it. This will not only help me stay sane, but will help with the water consumption as well. 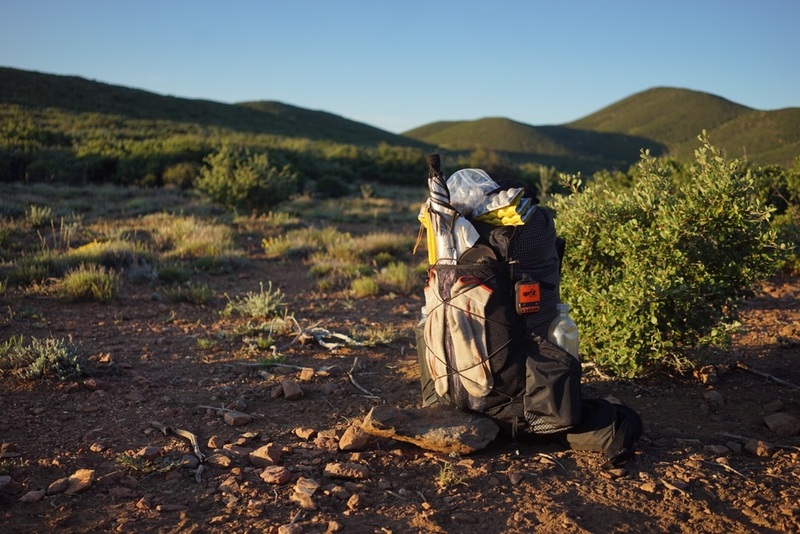 For example, when I started day four, I had to cross a 23 miles waterless section, and to make it through that I had to come close to my maximum water storage capability, 7.5 liters. That much water weighs a ton! If I had hiked more of that section later in the day, I think I could have carried less, not be so burdened, and had been in a better mental state. Learning the hard way. 100 miles on the Pacific Crest Trail!